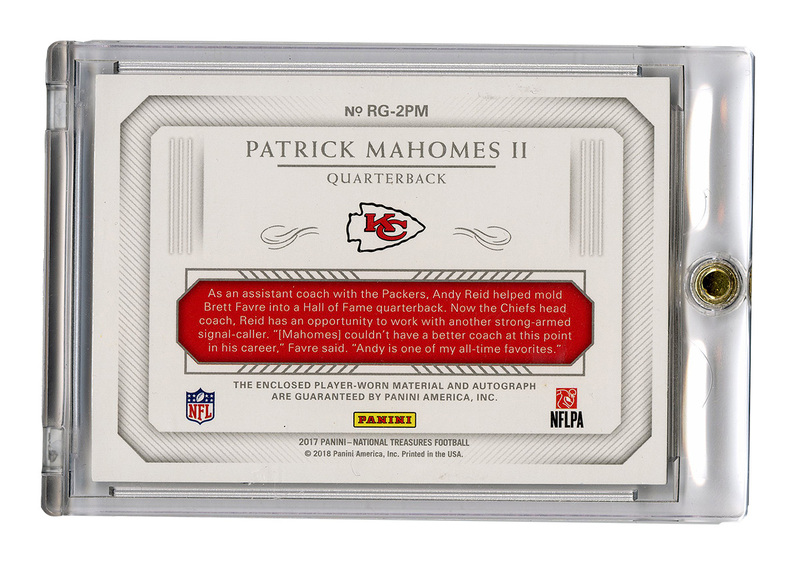 Outstanding, True 1/1 Patrick Mahomes II Signed Rookie Card with player worn material that neatly displays the NFL logo. 2017 Panini National Treasures No. 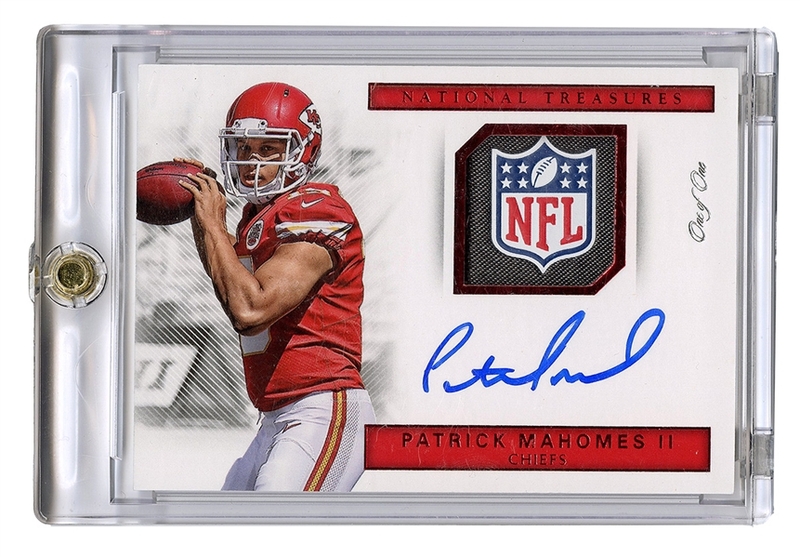 RG-2PM stamped “One of One’” boldly signed by the young Kansas City Chiefs rookie quarterback phenom. Comes with a Gotta Have Rock & Roll™ Certificate of Authenticity.